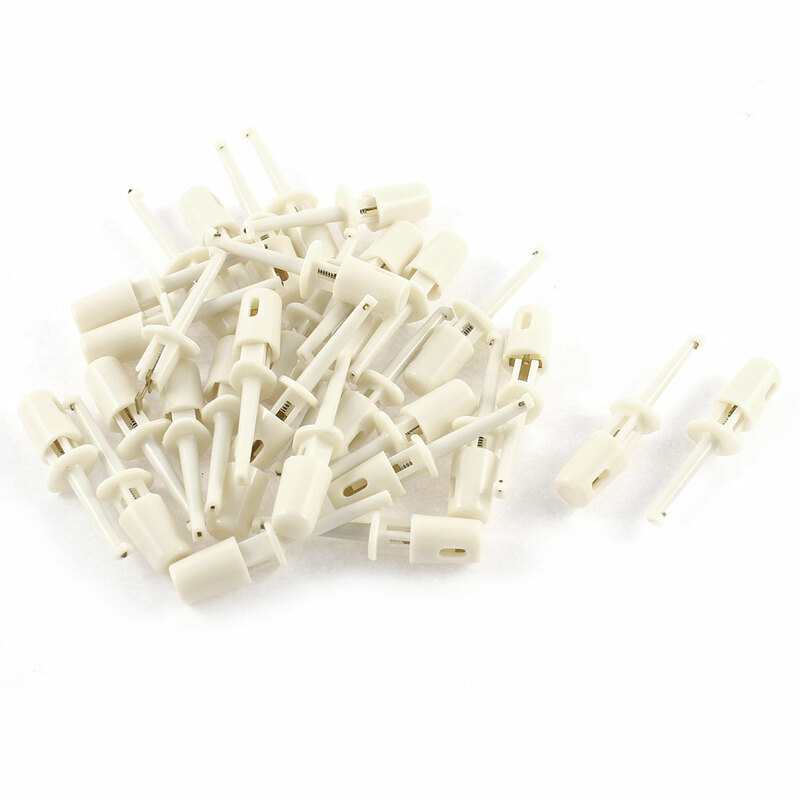 Plastic and Metal Material.Can be used in electronics or laboratory testing work.Easy for installation and for use with the insulation plastic boots covered.Great replacement connector hooks for the testing cable. • Material: Plastic, Metal; Net Weight: 28gPackage Content: 30Pcs x Testing HooksSize: 40 x 12 x 9 mm/ 1.6" x 0.5" x 0.4"(L*W*T)Hook Length(Max. ): 5 mm/ 0.2"